Ever since the “Unione” – Italy’s governing coalition of assorted ex-Christian Democrats, ex-Stalinists and Greens – came into office last April, it has relentlessly pursued two goals: slashing labor costs at home to make Italian industry “competitive” and militarily occupying foreign countries according to the dictates of U.S. imperialism (and its Israeli allies). From the standpoint of the Italian working class and the oppressed masses of Africa and the Middle East, not a euro cent’s worth of difference separates the former “center-right” government of Silvio Berlusconi from the “center-left” government of current prime minister Romano Prodi. The Italian capitalists, on the other hand, are for the moment banking on Prodi’s popular front – which includes, in particular, Rifondazione Comunista (PRC, Party of Communist Refounding), whose leader, Fausto Bertinotti, now shamelessly presides over the Chamber of Deputies of Italian imperialism. Sometimes referred to as “far left” in the bourgeois press, the PRC’s policies are utterly reformist, often to the right of the pro-capitalist policies of the Italian Communist Party of the past. Bertinotti’s capitalist masters are hoping that he and Prodi will take up where Berlusconi left off, dismantling labor protections and conducting imperialist military adventures. Prodi knows his assignment: during the election campaign, in his nationally televised debate with Berlusconi, Prodi intoned, “We have to lower labor costs. We have to give a push to the system.” Now the Prodi government has rammed through an austerity budget with multi-billion euro cuts in health, local government and education, while resuming the dismantling of the public pension system begun in 1995. In addition to raising the age of retirement, according to a “memorandum of understanding” between the government, unions and industrialists, beginning next year workers’ severance pay (TFR) will be funneled into privatized pension funds that will “invest” in the stock markets while minimum state pensions are cut to the bone. All this is done with the support of the union bureaucracies, which are setting up their own pension funds to get in on the speculative feast. And now the government is preparing the privatization of the state airline, Alitalia. The PRC, having supported the first Prodi government (1996-98) which privatized Telecom Italia, slashed job protections and set up concentration camps (CPTs) for undocumented immigrants, is also backing this attack on workers’ livelihoods. But the assault has not gone without protest. On November 4, 150,000 demonstrated in Rome to demand an end to precarietà (temporary jobs). On November 17, some 1.5 million workers struck against the financial law, with over 300,000 demonstrating in the streets. Among the protesters were many students, while the striking workers were mainly from the various syndicalist rank-and-file committees (Cobas, SLAI Cobas, CUB) and the left wing of the CGIL (Italian General Labor Federation, led by the PRC). Then on December 7, the top union bureaucrats visited the largest factory in Italy, Fiat’s Mirafiori plant in Torino, for the first time in 37 years, to sell the budget. The workers weren’t buying. “Bertinotti betrayed us,” shouted one worker to general applause. “We shouldn’t be a rubber stamp for the government” said another to Luigi Angeletti of the social-democratic UIL union federation, reminding him that “these governments are no friends” of the workers. Raffaele Bonanni, head of the formerly Christian Democratic federation, CISL, was booed as were others of the bureaucrats. Workers bombarded CGIL leader Giuglielmo Epifani for two hours with complaints about the threats to pensions. But in the end, despite the workers’ boos at Mirafiori, the budget sailed through parliament without a hitch. Immigrants and immigrant workers have been a particular target of attack. The latest case was a racist assault on a camp of Rom (“gypsies”) on December 21. The week before, they had been evicted from a camp in Milano. They were supposed to be temporarily lodged in a tent city in nearby Opera, but when buses with 75 Roms arrived, a racist mob had drenched the tents with gasoline and burned them. Half of those thrown out into the December cold were children, including a number of newborn babies. The attack was spearheaded by fascists, both skinhead squadristi (attack squads) and supporters of the fascist party Aleanza Nazionale, along with the virulent anti-immigrant racists of the Lega Nord (Northern League). The assault was also “tolerated, if not openly supported, by many citizens who voted for the center-left” (Il Manifesto, 30 December). Local authorities responded by holding a “dialogue” with the vigilantes. The camp has since been reestablished with a police presence, but the racists are still there menacing it and the mayor (member of the Left Democrats) says they can only stay until March. The situation cries out for a massive workers mobilization to sweep away the fascist scum and teach them a lesson with proletarian power. But the reformist misleaders haven’t lifted a finger to defend the Rom. On the military plane as well, the Italian popular front has gone out of its way to maintain continuity with Berlusconi. After nine months in office, it finally withdrew the Italian contingent from Iraq, while reconfirming its commitment to, and even increasing the budget for, Italian troops in the NATO occupation of Afghanistan. On top of this, the Unione is now providing border guards for Israel. 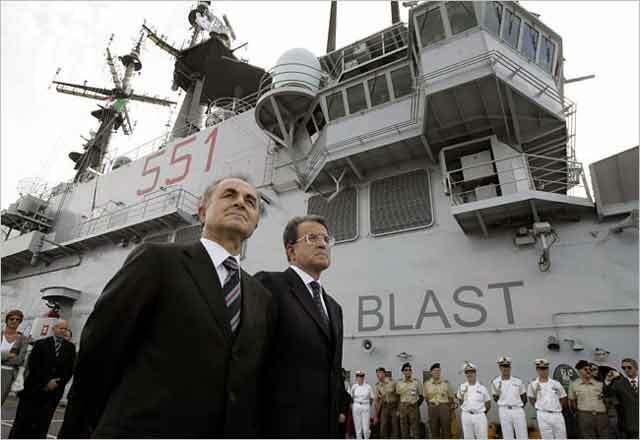 On August 29, Prodi stood pompously on the deck of the navy’s flagship, the light aircraft carrier Giuseppe Garibaldi, and blessed his troops departing for Lebanon. The Garibaldi (what a misuse of that great revolutionary’s name!) steamed from Brindisi at the head of a flotilla carrying 2,500 soldiers in addition to naval personnel. They make up the largest component of the multinational “peacekeeping” force summoned by Washington and Tel Aviv in the wake of the U.S.-backed Israeli invasion of Lebanon. While the Zionist militarists laid waste to much of the country, using U.S.-made cluster bombs against the civilian population, the Hezbollah militia fought the Israeli army to a standstill in southern Lebanon. Having failed to do so by military means, Bush and the Israeli rulers turned to the United Nations to seek to disarm Hezbollah through diplomacy and an occupation army of the European imperialists. While the right-wing opposition makes a show of criticizing this military adventure, even the “communist” Bertinotti declares himself “happy” that Italy “has returned as a force for peace in the Mediterranean area” (AGI, 26 August)! Recently, foreign minister Massimo D’Alema of the Left Democrats (DS) visited the troops in Lebanon warning of possible attacks on this phony “peace force” by Al Qaeda. Meanwhile, Israel crows that the Italians are doing its bidding (“Italy: World Won’t Tolerate Syrian Arms Shipments to Hezbollah,” Haaretz, 1 September). In January, Italian general Gerometta will assume command of the entire 15,000-strong UNIFIL force. For now, the “Italian Joint Task Force” is concentrating on building good relations with the predominantly Shiite Muslim local population. But that will change as soon as they try to enforce UN Security Council resolution 1701 calling for disarming Hezbollah. Parliament must vote to renew authorization for the Afghan expeditionary force this month, putting left-wingers in the PRC in a quandary. Last summer most of them voted “yes” to the Afghan war while claiming to oppose it. Not so long ago, in 2003, millions demonstrated in Italy against the U.S. invasion of Iraq, but today only a few thousand participate in protests demanding Italian troops get out of Afghanistan and Lebanon. The bulk of the Italian left may make tepid criticisms of Prodi’s foreign policy and oppose the “cowboy” antics of George Bush and the U.S. imperialists in the Near East. But rather than fighting for socialist revolution, most of the “antiwar” forces yearn for a “peace-loving” Italian imperialism. Revolutionary internationalists call instead to drive all the imperialists out of the Near East, and for proletarian mobilization to defeat imperialist war. Berlusconi’s regime was the continuator of the right wing of the Christian Democracy (DC), the dominant bourgeois party of postwar Italy, created with CIA and Vatican money and populated with ex-fascists and mafiosi. The mission of the DC was to salvage Italian capitalism from the wreckage of Mussolini’s fascism, at a time when the discredited and disorganized bourgeoisie faced an increasingly militant proletariat, a significant section of which had kept its arms from the partisan struggle against the Nazis. Under the leadership of Palmiro Togliatti and the Italian Communist Party (PCI), loyal to Stalin’s alliance with “democratic” imperialism, the DC was allowed to reconstitute the capitalist order. An excruciatingly accurate depiction of this scene closes Bernardo Bertolucci’s film, 1900, when at a workers tribunal at the end of World War II the boss is told, “il boss non esiste più” – the boss is no more – until the official PCI representatives arrive, disarm the people and permit the boss to proclaim, “si, il boss ancora esiste” (yes, the boss still exists). For the next thirty years, through the working-class explosions in the 1960s and ’70s, the PCI tops (and their supporters in the CGIL unions) functioned as loyal “labor lieutenants of capital.” This culminated in the PCI’s “historic compromise” of the mid-’70s, when the PCI deputies gave essential parliamentary support to DC government of Giulio Andreotti (and fingered factory workers as Red Brigade members to the police). Try as they might, however, the Stalinist misleaders could not save Andreotti and his mafia- and fascist-ridden party, which finally broke apart in the early 1990s under the weight of a series of corruption scandals that had begun a decade earlier. The PCI/CGIL tops tried to prove their reliability to the capitalists by sacrificing the scala mobile (the cost-of-living escalator that adjusted wages for inflation), in a July 1992 accord with the employers and government, and gutting other workers’ conquests won in the autunno caldo (hot autumn) of 1969. But instead of putting a popular front in power, this demoralized the workers and brought in the first Berlusconi government of 1994-96. 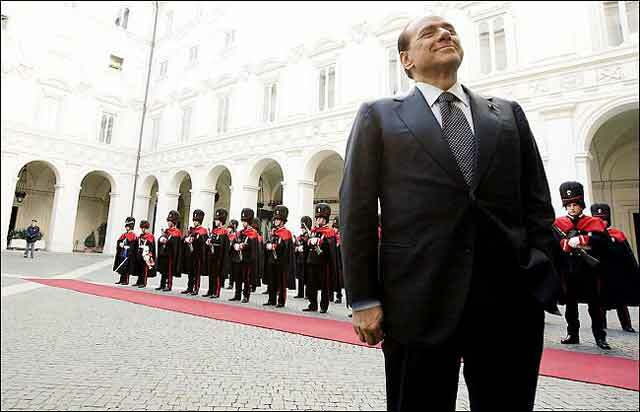 The “center-right” Berlusconi I government fell amid internal squabbling and working-class discontent. New elections led to a “center-left” government under former Christian Democrat Romano Prodi, who lasted a bare two years (1996-98), to be replaced by another popular-front cabinet led by former Stalinist D’Alema of the DS, whose government escalated attacks on the workers. This, in turn, led to the electoral victory in 2001 of the Berlusconi II government, which remained in power for the full five-year period. In national elections last April 10-11, the alternate leadership of the Italian ruling class, the Unione coalition, won by a razor-thin margin and installed the Prodi II government. The narrow outcome – barely 25,000 votes separated the two blocs in the Chamber of Deputies, out of a total of about 38 million cast – was largely due to the Unione’s insistently anti-working class program, which promised to make life worse for workers than under Berlusconi. But the cyclical alternation of right and “left,” between Berlusconi and Prodi, masks the underlying drive by the entire bourgeoisie to dismantle the remains of the postwar “social state” and boost Italian “competitiveness” by undoing labor gains. 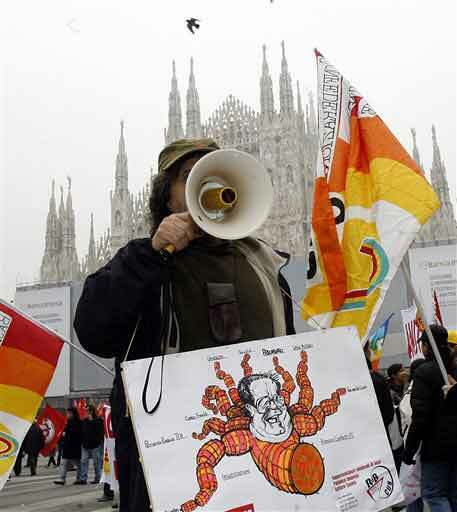 Working-class opposition to the right-wing regime had been massive since Berlusconi took office in 2001 with an agenda of privatizations, attacks on union protections, pensions and civil liberties (disguised as a U.S.-style campaign against “terrorism”), as well as a racist offensive against immigrants. Berlusconi dispatched 1,300 troops to Afghanistan and 3,000 to Iraq in support of U.S. imperialism and its wars, to the outrage of the whole of the Italian working class, most students and a large part of the petty bourgeoisie. As a result, Italy became a huge stage for demonstrations of protest and resistance. A series of combative industrial and service worker strikes culminated in a 10 million-strong general strike in October 2003, and the two largest demonstrations in postwar Italian history, both of which took place in Rome. In 2002, 2 million demonstrated against the government’s economic policies, and the following year 3 million marched against Italy’s participation in the U.S. imperialist onslaught in Afghanistan and Iraq. In the face of such widespread opposition, the Italian bourgeoisie failed to bring the workers to heel. For five years it backed Berlusconi’s coalition, which in the main consists of four parties. Forza Italia (a soccer slogan, meaning “Go Italy”), the largest of the four, received 24 percent of the vote in 2006; it was created with Berlusconi money and Vatican support to rally demoralized elements of the defunct mafia-ridden Christian Democracy. The Alleanza Nazionale (National Alliance), the second party in Berlusconi’s coalition (receiving over 12 percent of the 2006 vote) is the new name of the Italian fascists. It was changed from Mussolini’s “Movimento Soziale Italiano” in 1995, as part of the fascists’ efforts to sanitize their image (including kicking out the dictator’s granddaughter and dressing up their leader, Gianfranco Fini, Berlusconi’s foreign minister, in a business suit instead of a black shirt). The third component is the UDC/DC, remnants of the old Christian Democratic Party (7 percent), and the fourth is the racist anti-immigrant Lega Nord (Northern League, 4.5 percent), led by Umberto Bossi, a bribe-taker given to screaming vulgarities and threats of violence against other politicians. Despite the new names, the center-right “Pole of Liberty” coalition thus brings together all the usual suspects of post-war Italian capitalism: the super-rich, Vatican operatives, corrupt politicians, big-time criminals, fascists and racist thugs. But it is an uneasy alliance. The founding principles of Lega Nord, for example, were hatred of Italian national unity and love for “Padania,” a mythical Nordic-style land to be formed by the secession of northern Italy from the Mezzogiorno (the poor southern regions of Italy). Bossi brought down the coalition once before, in 1994, ending Berlusconi’s first, short-lived reign. Greed for money and power, and hatred of the working class, however, brought Bossi back in the fold, and he became Minister of Reforms in the second cabinet. For five years the strategy consisted of crude frontal assaults against the hard-won gains of the Italian working class, which, damaging as they were, ultimately proved insufficient to break worker militancy. Berlusconi’s last-ditch effort was an attempt to grab more power through forcing changes in the 1948 Italian constitution. When he lost in parliament, he called a national referendum. Bossi loudly proclaimed that he would move to Switzerland if it didn’t pass. Its decisive failure in late June (61 percent voted “no”) was in part due to heavy resistance in the South, where sensitivity to any scheme involving Bossi runs high. In response to the defeat of the referendum, Marco Formentini, Lega Nord representative in the Europarliament, sneered, “Italia fa schifo, gli Italiani fanno schifo” (Italy stinks, the Italians stink). The workers will remember these names and reckon with them appropriately, as the partisans did with many at the close of World War II. But the 1943-45 workers uprising against Mussolini and the retreating German imperialists was sold out and proletarian revolution blocked by the Stalinist PCI and social democrats through a popular front with right-wing Catholic politicians. Berlusconi’s Bonapartist aspirations and megalomania (Il cavaliere has described himself as “greater than Bonaparte” and the “Jesus Christ of politics”), as well as his brazen use of political power to advance his private commercial interests, may have put off some bourgeois backers, but the decisive factor for them was his failure to gain the deep cuts in labor costs they demanded. As Maurizio Beretta, chief of Confindustria, Italy’s powerful syndicate of capitalists, portentiously remarked, “the problem of pensions is a rather delicate one” (AGI, 11 September). So in the face of tenacious working-class resistance to Berlusconi, the capitalists seek to serve their purposes with the less blunt instrument of the Unione. And who better to understand the bourgeoisie’s concerns than Prodi, himself Confindustria’s chief during the 1980s and again in 1993-94? L’Unione is a classic “popular front” that binds the workers to their class enemy by means of an alliance between sections of the ruling class and the mass organizations of the working class (parties and unions). Its program is capitalist austerity “at home” and imperialist militarism abroad. Berlusconi’s fascist-ridden wing of the bourgeoisie has been temporarily sidelined by this election, but his replacements are eager for the chance to discipline the workers. The largest bourgeois component of the Unione is the Margherita (Daisy), the reconstituted liberal wing of the old Christian Democratic Party (a/k/a the Aldo Moro wing). Margherita is closely allied with the Left Democrats (DS), one of the two largest splinters from the defunct Italian Communist Party. The “Ulivo” (Olive Tree) lash-up of ex-Christian Democrats and ex-Stalinists resembles the “historic compromise” – the desperate attempts in the late 1970s by the PCI under Enrico Berlinguer to formally subordinate itself to Giulio Andreotti’s Christian Democrats. This came to an abrupt end in 1978 with the kidnapping and murder of Moro, the main Christian Democratic proponent of an alliance with the PCI). The ex-Stalinists of the DS, however, have moved much further down the road of class collaboration, and today the Ulivo bloc constitutes the bourgeois core of Prodi’s government, with over 30 percent of the popular vote and 220 seats (out of 630) in the Chamber of Deputies. Prodi appointed old-line Stalinist bureaucrat Giorgio Napolitano as President of the Republic. Because of its open hostility to the working class, however, the Ulivo could not hope to form a government by itself. Many workers remembered how in 1998-99 when D’Alema was prime minister his government pushed through anti-strike laws and tried, unsuccessfully, to gut the pension system. The Ulivo’s plan to continue and even quicken the pace of the Berlusconi-initiated attacks on pensions and welfare spending requires that it have more credible allies to the left – those with closer ties to the working class and Italy’s large and heterogeneous milieu of contestazione (active opposition). Among these allies are the Greens (who got 2.3 percent of the vote in April); Rosa nel Pugno (Rose in the Fist, 2.6 percent), the new name of the old Radical Party, now fused with a splinter from Bettino Craxi’s corrupt Socialist Party; and the more traditional Stalinists of the Party of Italian Communists (PdCI, 2.3 percent). But the linchpin of the popular front is the Partito di Rifondazione Comunista led by former CGIL militant Fausto Bertinotti, who is now Prodi’s Speaker of the Chamber of Deputies. In the Senate, however, the margin between center-left and center-right is a mere two votes (158 to 156), so the bourgeois popular front needs all 27 PRC senators on every vote – no dissents, no absentions, no absences. If the Prodi regime loses a single key vote – such as the proposal to continue the war in Afghanistan – it could fall, opening the possibility for Berlusconi & Co. to return to power. So the Unione has posed every key vote in parliament as a motion of confidence in the government. Bertinotti and Franco Giordano (the new PRC secretary) use this device to cajole and threaten their left-wing critics, who have obliged them every time. In advance of the Senate vote on the Afghan “mission” last July eight senators – from Sinistra Critica, the PRC majority, the Greens, and the PdCI – issued a proclamation: “Non alla guerra, senza se e senza ma!” (“No to the War, Without Ifs or Buts!” – the main slogan of the antiwar movement). This pacifist slogan masks the need to fight the imperialist war with class war by mobilizing the power of the proletariat to defeat “their own” bourgeoisie. As it turned out, however, all eight self-styled “left oppositionists” ended up obeying the discipline of the popular front and voting for the war on Afghanistan. While Mandelites and Cliffites formally claim to be Marxists and, to one or another degree, cite Leon Trotsky, in reality they seek to drag Trotsky’s name and the revolutionary Marxism it stands for through the mud of class collaboration. From Brasília to Rome, these groups join repressive capitalist regimes, including (where they can) as cabinet ministers, while calling themselves revolutionaries. From the beginning of the 20th century, this kind of “ministerial socialism” was derided by genuine Marxists. These reformist anti-Trotskyists are following in the footsteps of Stalinism and Social Democracy. Throughout his life Trotsky resolutely opposed the popular front, whether in power or out, as a tool of a weakened capitalist class that seeks to enlist the working class – through the agency of reformist workers parties – in engineering its own defeat. In China in the 1920s, in France and Spain in the 1930s, he warned that the popular front prepares the way for disaster for the working class. Only in Russia was catastrophe averted – because the Bolshevik Party led by Lenin and Trotsky overthrew the popular-front Provisional Government led by Kerensky and established a revolutionary workers and peasants government. After Trotsky was assassinated by a Stalinist hireling in August 1940, and particularly in the aftermath of the Second World War, in which many leading Trotskyist militants were murdered by the fascists and the Stalinists, the Fourth International leadership fell to less experienced comrades. They began to ignore the fundamental lessons of the Bolshevik Revolution. Ultimately, a liquidationist program was advanced by Michel Pablo and Ernest Mandel, who under the impact of the anti-Soviet Cold War theorized that the Stalinists could be pressured into “roughly outlining” a revolutionary policy. Pablo’s conclusion was a policy of “deep entrism,” ordering sections of the Fourth International to dissolve their own small organizations into the mass Stalinist Communist Parties. Subsequently, the Pabloites and Mandelites would tail after the Algerian FLN, Castro/Guevaraist guerrillaism in Latin America, Red Guards in Mao’s China – whatever was the fad in petty-bourgeois radical milieus; in the 1980s, they joined NATO social democrats like François Mitterrand in an anti-Soviet hue and cry over Afghanistan and Poland. What the Pablo/Mandelites did not do was build independent Leninist-Trotskyist parties to fight for international socialist revolution. Pabloism led to the organizational destruction of Trotsky’s Fourth International, which the League for the Fourth International is dedicated to forging anew. In Italy, where the prewar Trotskyists had been decimated by murderous fascist and Stalinist violence, Livio Maitan (1923-2004) became a Pabloite leader of international importance, especially after Pablo took his liquidationist program to its logical conclusion and joined the post-independence bourgeois-nationalist government of Algeria. In Latin America in the 1960s, Maitan was instrumental in forcing the parties parties of the United Secretariat to abandon any pretense of Marxist proletarian orientation in favor of a disastrous strategy of peasant-based guerrilla warfare. The effect was to wreck nuclei of would-be Trotskyists across the continent, especially in Argentina, Bolivia and Peru. In Italy, in the 1950s and ’60s, Maitan encouraged supporters of the Pabloist International and later United Secretariat to bury themselves deeply in the PCI. As a result, when the great explosion of radical youth and working-class struggle took place in 1968-69, there was no Trotskyist party in Italy that could fight to lead this upsurge. Thousands of young militant workers, disgusted with the instrumental role the PCI played in propping up the capitalist order, and seeing no revolutionary alternative because of the liquidationist policies of Maitan and the USec, impressionistically styled themselves as Maoists, syndicalists or even anarchists – tendencies to which Maitan then adapted as well. In his later years Maitan became a close advisor to Bertinotti, whose introduction to Maitan’s 2002 autobiography, La Strada Percorsa (The Road Traveled) is an effusive tribute to the author. In 1991, Maitan and his “Bandiera Rossa” organization helped found Bertinotti’s Rifondazione Comunista – the very party on which the current capitalist order in Italy relies. Today the popular front’s hold on power in Italy is none too secure, owing to the narrow vote margins. In the Senate, Sinistra Critica senator Franco Turigliatto, a supporter of the USec and longtime aide to Maitan, justified his “yes to war” vote in a long-winded speech with the Orwellian title: “Against the Italian Intervention in Afghanistan.” Turigliatto admitted that 60 to 70 percent of Italians want Italian troops out of Afghanistan, but he carried out his duty for the capitalist ruling class. The publication of the USec, had the gall to write of this ploy by the “radical left”: “even though its representatives in the Senate voted for the motion of confidence... and the financing of the war in Afghanistan, they showed that even a small minority can stand up to the government’s policy” (International Viewpoint, October 2006). They “stood up” by sitting in their parliamentary seats and voting for war credits, as the German Social Democrats did on that fateful 4 August 1914! No Karl Liebknechts here! This is the kind of cynical subterfuge and outright lying which fake Marxists trade in, and their betrayal must be ruthlessly exposed. In the Chamber, where the four “no” votes against Italian participation in the occupation of Afghanistan were registered, the Unione has enough of a majority so that the votes were not needed. Deputy Salvatore Cannavò of Sinistra Critica could take the liberty voting “no.” But this was grandstanding as Cannavò remarked that “the ‘objector’ senators have chosen to agree, in an act of extreme sacrifice, to vote for the motion of confidence in the government” (Liberazione, 27 July). What a sacrifice! (One deputy in the PRC majority, Paolo Cacciari, showed more guts, resigning his seat in protest over the parliamentary charade on the Afghanistan vote.) But as the government keeps calling one vote of confidence after another, the PRC “left” can’t duck. On the budget, with its cutbacks and attack on pensions, Cannavò ended up abstaining on the law and then leaving the Chamber during the vote on the motion of confidence rather than opposing this anti-working-class law outright. For this timid dissent, the PRC tops have threatened to put him on trial, while removing Sinistra Critica supporters from all official posts. In the Senate, SCer Turigliatto voted for the capitalist cutback budget just as he earlier voted for imperialist war. Break with the Centrist Tails of the Popular Front . . .
As Lenin remarked to the March 1917 Bolshevik Party conference, “I hear that in Russia there is a trend toward unification . . . with the defensists – that is a betrayal of socialism. I think it is better to stand alone like Liebknecht – one against a hundred and ten.” Lenin was addressing the party from exile in Finland; Trotsky was then in a concentration camp in Canada. The party was being misled by Stalin and Kamenev, who were seeking accommodation with the Kerensky-led popular front, which stood for “defense of the fatherland” by continuing the slaughter of the first imperialist world war. By “stand alone like Liebknecht,” Lenin referred to the German Social Democratic deputy, Karl Liebknecht, who in December 1914 stood alone in the Reichstag against the whole of the Social Democratic Party and refused to vote war credits for the war of the Kaiser and the industrialists like Krupp. Today, millions of Italian workers would be willing to stand up to the capitalists, yet they are bound to the bourgeoisie via the popular front imposed on them primarily by the PRC and sellout union bureaucrats. With the Unione in power, the left parties have generally shifted to the right. Following the April election, the ex-Stalinists of the DS vowed to complete their transmogrification into mainstream bourgeois politicians by joining with the ex-Christian Democrats of the Margherita to form a Democratic Party. The Rifondazione Comunista tops are communists in name only. Bertinotti is preparing to ditch the reference to communism by launching a magazine, Alternative per il socialismo, which he says represents a fundamental “svolta,” or turning point, akin to the PCI’s turn to “Eurocommunism” in the late ’70s (Corriere della Sera, 20 December). Sinistra Critica is if anything worse yet, because it tries to sully the name of Trotsky with its betrayals. While the Mandelites and Cliffites of SC try to hang on to positions of influence in the PRC, others with equally rotten reformist politics like the FalceMartello (Hammer and Sickle) group, part of the tendency founded by the late Ted Grant, strike a slightly more militant pose having no parliamentary seats to lose. But while FM publishes a pamphlet against attacks on immigrants in the city of Sassulo, it still votes for the PRC which is part of the city council that launched the racist attacks. These fans of Venezuela’s Hugo Chávez are as deeply imbedded in Bertinotti’s PRC as their Mexican comrades are in the bourgeois PRD of Andrés Manuel López Obrador. As the “responsibilities” of governing a capitalist state intensify Rifondazione’s internal contradictions, various centrist currents have been thrown into turmoil. Marco Ferrando, the principal leader of the Progetto Comunista tendency, was slated to be a Senate candidate for the PRC in the 2006 elections. However, the entire bourgeois media and politicians of right and “left” threw a fit over an interview with Ferrando in Corriere della Sera (13 February) published under the headline, “‘Shoot at Our Soldiers? A Right of the Iraqis.’ Ferrando: Nassiriya Was a Case of Armed Resistance.” What Ferrando actually said was that armed struggle against the colonial military occupation was just, and that Berlusconi had sent troops to Nassiriya (where they were attacked by guerrillas in November 2003, leaving 19 Italian soldiers and police dead) because of Italian capitalists’ interest in Iraqi oil. 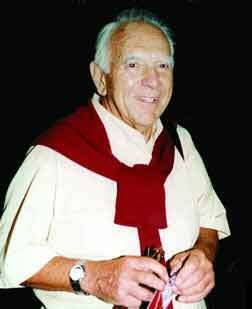 As politicians from the DS to the fascist AN howled, the PRC’s Bertinotti abruptly dumped Ferrando. Nevertheless, Ferrando called to vote for the PRC in the April elections and thus helped install the popular front in office. In mid-May, on the eve of Rifondazione’s vote for the Unione government, Progetto Comunista broke from the PRC to set up the Movimento Costitutivo del Partito Comunista dei Lavoratori (MCPCL – Movement to Constitute a Communist Workers Party). Meanwhile, another part of the Progetto Comunista current objected to Ferrando’s candidacy on the grounds that it was arranged behind the backs of the rank-and-file, and that he had agreed to vote for a Prodi government. But this grouping, now called Progetto Comunista – Rifondare l’Opposizione dei Lavoratori (PC-Rol – Communist Project – Refound the Workers Opposition), in typically opportunist fashion proposed to the PRC tops that its spokesman, Francesco Ricci, replace Ferrando on the ballot. Behind the centrists’ endless maneuvering, the fact is that the Proposta/Progetto Comunista current never represented a revolutionary opposition, but rather a centrist barnacle on the reformist PRC. Ferrando supported Bertinotti in the leadership of Rifondazione Comunista when it backed the first (1996-98) Prodi government, which invaded Albania. 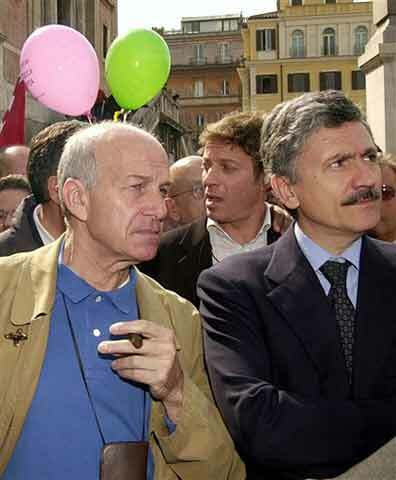 Ferrando was fully prepared to vote for Prodi II, if only Bertinotti had let him . . . Such are the wages of opportunism. For our part, the League for the Fourth International has noted that the historic defeat of the proletariat represented by the demise of the bureaucratically degenerated/deformed Soviet and East European workers states has had a real but uneven effect on the workers’ consciousness. And it has not altered or rendered outdated (as the ICL contends) the central thesis of Trotsky’s Fourth International, that the historical crisis of mankind is reduced to the crisis of proletarian revolutionary leadership. In fact, the impact of the counterrevolutionary destruction of the USSR has been greatest on the workers’ leaderships and leftist groups claiming to be revolutionary. Nowhere is this more evident than in Italy, particularly over the war. During 2002-03, there were not only huge pacifist marches, the working class also sought to fight against the war. In February 2003, railroad workers and antiwar activists blocked rail lines in northern Italy seeking to prevent the transport of U.S. tanks, artillery and munitions to the Persian Gulf; when the U.S. launched the invasion, thousands of Italian workers walked out. Since the beginning of the war drive, we in the LFI have fought for workers strike action against the imperialist war. The ICL on the other hand, especially in the U.S., dismissed our calls for the defeat of U.S. imperialism and for workers to “hot cargo” (refuse to handle) military goods and for strikes against the war as “rrrevolutionary phrasemongering.” In Italy, where it was impossible to ignore the workers’ antiwar actions, the LTd’I briefly raised the call “For Workers Strikes Against the War” – but only after (not before) the dramatic battle of the rails (Spartaco, June 2003). It has not repeated this since, even though Italian workers overwhelmingly continued to oppose the war. Nor has it raised the call for concrete workers actions against the war over the continued presence of Italian troops in Afghanistan, or the sending of Italian forces to Lebanon. (At most it talks vaguely of continuing “class struggle at home” in the context of imperialist war, which could mean almost anything.) The ICL justifies its refusal by arguing that strikes against the war would be tantamount to calling for revolution, and since “the workers don’t see … their struggles as part of the struggle for a socialist transformation of the world,” not even in a partial or deformed way, such calls are empty. Except Italian workers actually do it. The ICL is not alone in claiming that Trotsky’s argument that “the historical crisis of mankind is reduced to the crisis of the revolutionary leadership” has become “insufficient” (see “In Defense of the Transitional Program,” The Internationalist No. 5, April-May 1998). The Mandelites, Cliffites and others use the thesis of a retrogression in workers’ consciousness in order to justify their capitulations to the reformist misleaders, and to abandon any reference to Trotskyism; the latter-day Spartacists use the same argument to justify abstention from the class struggle. At bottom this revisionism is based on anti-Leninist conceptions of the relationship of the party to the class. The Mandelites and Cliffites (the latter most explicitly) reject Lenin’s thesis, in What Is To Be Done? that revolutionary consciousness is brought to the working class from outside the framework of the daily struggles with the bosses, which by themselves at most generate trade-union consciousness. The ICL puts forward an idealist conception. As we wrote: “They see the role of the party as that of missionaries rather than the advance guard of the proletariat, which develops the mentality of the workers through its sharp programmatic intervention in the class struggle” (“In Defense of the Transitional Program”). 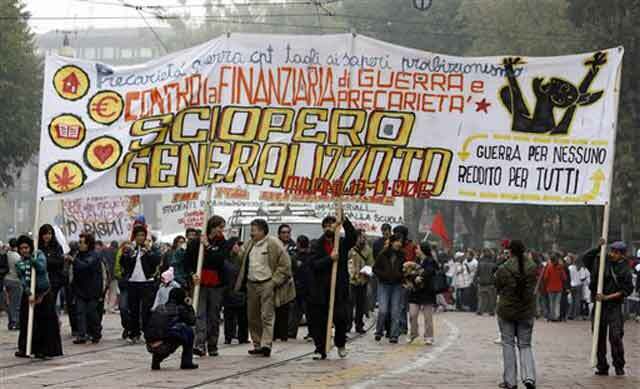 In 2001-03, Italy was racked by militant youth, worker and antiwar struggles on a massive scale: July 2001, Genova uprising against the G8 imperialist rulers’ conclave; April 2002, 13 million-strong general strike; February 2003, 3 million march against Iraq war, workers block “trains of death”; October 2003, 10 million-strong general strike against attacks on pensions; March 2004, 1 million march against war. Today, Italy is still involved in imperialist war and the attacks on workers’ livelihoods continue, but protests are far smaller. What changed? A new regression in workers’ consciousness? No, what happened is that the PRC, which during 2001-05 had opted to support “social struggles,” decided at its 2005 conference to sign on with the Unione popular front. Its reformist and centrist hangers-on were dragged along in its wake. Today as in the past, Italy probably has more self-proclaimed revolutionaries and syndicalist trade-unionists per square kilometer than anywhere else on the planet, yet Italian capitalism remains intact. What’s key is the fight for revolutionary leadership.